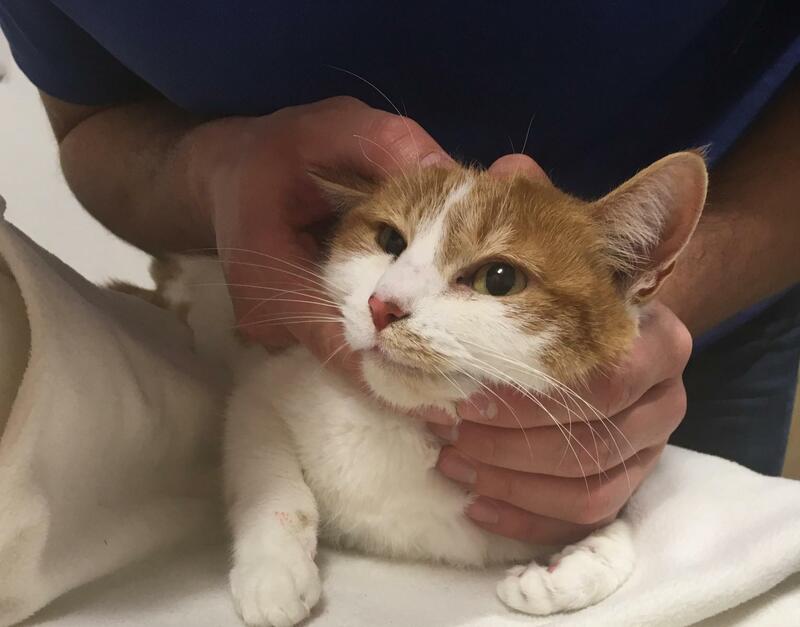 Esme, a four year old domestic short hair cat, was brought into the Vet Bristol for a persistent sneezing issue she’d been struggling with at home. Esme is an outdoor cat and her owners were concerned with her becoming uncomfortable. On examination, one of our veterinary surgeons Matt was able to notice a grass seed sticking out of her right nostril! As Esme already had pre-existing heart conditions, Matt decided to remove the grass seed whilst she was conscious in the consultation. The grass seed was removed and Esme instantly felt better with some pain relief and some TLC at home. Hopefully Esme will stay away from grass seeds in the future and she has recovered well at home.